SUNNYVALE, Calif., March 27, 2019 — Ondas Holdings Inc., (OTCQB: ONDS) through its wholly owned subsidiary, Ondas Networks Inc., a developer of private licensed wireless data networks for mission-critical industrial markets, today announced its Director of Technical Product Marketing and Industry Relations, Kathy Nelson, P.E., has been appointed as a board member of the WiMAX Forum. 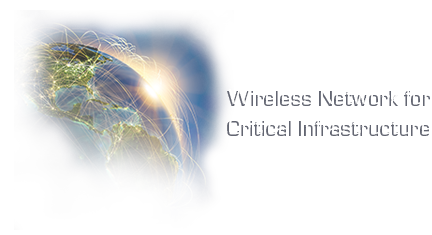 “We are thrilled to be a part of the WiMAX Forum, joining a group of members that share similar interests in creating and driving the adoption of new wireless communications solutions, including our FullMAX solution, through a multi-vendor, collaborative ecosystem,” said Kathy Nelson, Director of Technical Product Marketing and Industry Relations at Ondas Networks. “The MC-IoT market is advancing rapidly and requires solutions capable of keeping pace with demands for new applications such as edge computing. In addition to enhancing and promoting the use of the IEEE 802.16s standard, Ondas Networks will also gain the resources, through the WiMAX forum, to become certified for AeroMACS, the Aeronautical Mobile Airport Communication System. With AeroMACS certification and access to other AeroMACS manufacturers in the forum, Ondas Networks will be able to further establish the company’s technology portfolio and position in the aviation sector as a supplier of reliable data communications solutions.